Measuring time in coffee spoons. Jon is a Sales Rep for Google. His job is stressful and he has developed a bad habit of drinking too much coffee. He is trying to cut back because he can’t sleep at night. This winter he is up to 4-5 cups a day. Jon loves coffee and doesn’t want to quit, he just wants to scale back from almost 30 cups a week to a limit of 15 cups per week. Jon is looking for a way to easily track his coffee consumption by counting the number of cups he drinks each week. The title for this blog post was inspired by this persona. Also, did you know that nineteenth-century French writer Honore de Balzac allegedly drank 50 cups of coffee daily? Anyway, that’s beside the point. The idea is that Jon should be able to use the counter to track how many cups of coffee he is drinking weekly. I thought a lot about the tools we collectively use to measure time. I knew that whatever I decided to design, it would be best if I chose something in which the interaction was something with which the user was already familiar. I was immediately reminded of the classic pomodoro kitchen timer my mom used to use when she cooked. 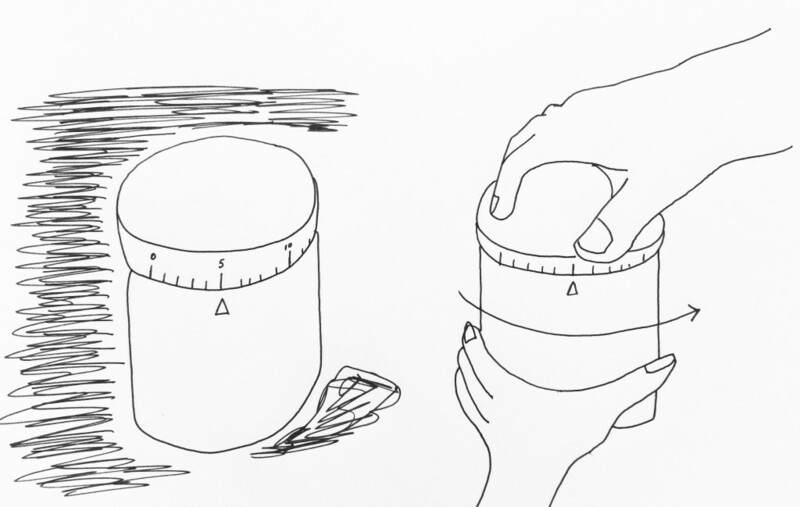 Essentially a tomato-shaped timer, the user would twist the tomato to the desired number of minutes and then leave it on the tabletop. The reason the timer is so useful is because it is so simple. The twist motion is one that we are familiar with from twisting off lids and the numbers are clearly marked. For my project, I decided to design an update to the simple pomodoro in which the user would manually twist the object to change the counter. 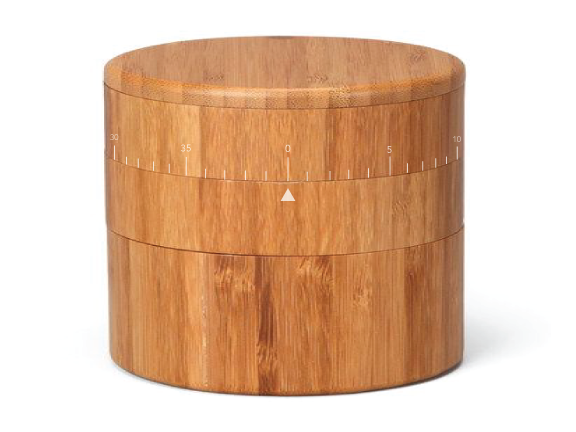 I found this beautiful bamboo salt box online that I wanted to model my counter after. I felt that no matter how the counter functioned, it was important that the physical object be aesthetically pleasing, an object that someone would want to keep on their desk. Previous Previous post: The plastisphere. Next Next post: Song of Trump: Generating religious erotica with Python.